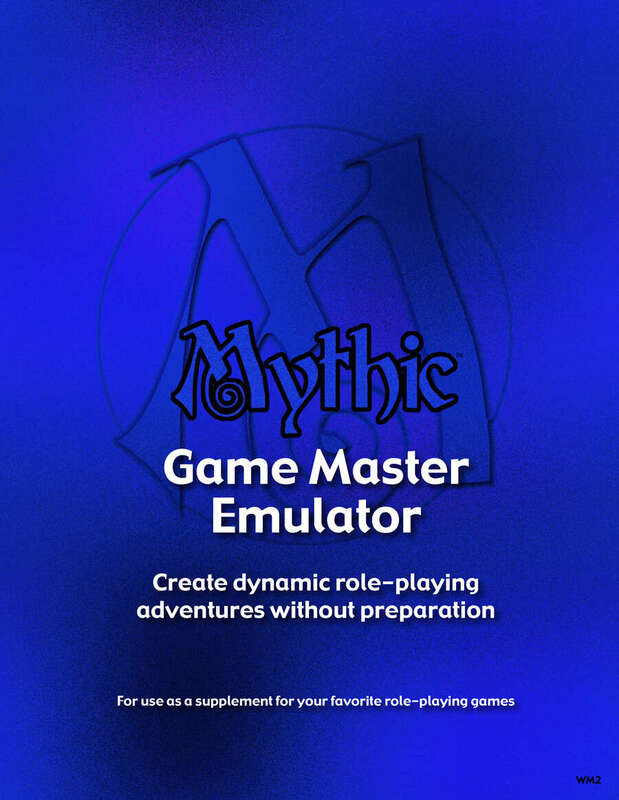 NOTE: This product provides the Game Master Emulation rules found in Mythic, a product that contains emulation rules and a full, universal role playing game. Mythic Game Master Emulator is for those who do not want the universal role-playing rules, but just the game master emulator at a reduced price. Mythic Game Master Emulator is a supplement meant to be played with your favorite role-playing games. Mythic is different in that it requires no preparation from the GM. Mythic adventures are meant to be played off the cuff, with perhaps a few minutes of brainstorming to come up with the initial setup. Mythic can also be played entirely without a GM. The same mechanics in Mythic that allow a GM to run an adventure without preparation also allows a group of players to do without the GM. Mythic can be used to go solo. Solo play in Mythic works the same as group play. You're just alone. Other Word Mill Publishing games. Exist any difference between the GM Emulator in Mythic RPG and this one. Are the same? According to the introduction for the GM Emulator, they are exactly the same. If you have the complete RPG you do not need to buy this one as well. What rpgs go best with the GM Emulator? I'm talking about other rpgs than Mythic rpg, of course. I'm asking this question since almost every other rpg insists that it should be played with more than one player. And some rpgs even have rules that pretty much guarantee that's the case. I crafted an entire Savage Worlds narrative with the GME before. Worked beautifully. I'm sure most games can go well with the GME though. My next attempt would be to try and pair it up with 13th Age. This title was added to our catalog on September 22, 2006.